Day 2 Cape Town: On arrival you will be met and transferred to your hotel. The remainder of the day is at leisure to relax or perhaps step out and start exploring. Day 3 Cape Town: Sightsee at your leisure. 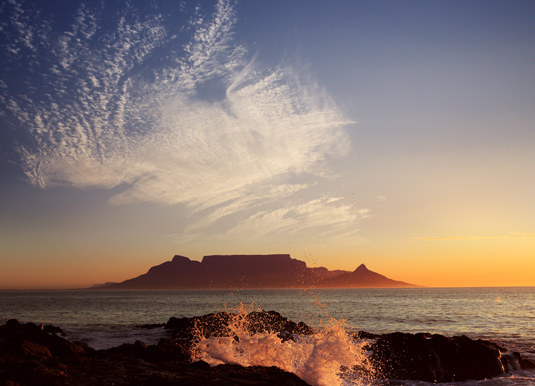 You may like to take a trip up iconic Table Mountain or across to Robben Island, stroll around the bustling V&A Waterfront or perhaps book one of our recommended excursions? Day 4 Cape Town/Oudtshoorn: Travel through the 'Little Karoo' and picturesque Montagu. Stop off in Barrydale, to visit a local farm school, interact with the children and teachers, spending time with them in the classroom learning more about the local farming community (subject to school being open). Continue to Oudtshoorn, the "ostrich feather capital" and centre of the world's Ostrich farming industry. Day 5 Oudtshoorn/Knysna: Visit the spectacular limestone caverns of the Cango Caves, one of the world's great natural wonders, before returning to Oudtshoorn for a tour and light lunch at an ostrich farm. The journey continues over the scenic Outeniqua Pass to George and then onto Knysna, which nestles on the banks of a beautiful lagoon. Day 6 Knysna: Enjoy a lagoon cruise to the Featherbed Nature Reserve, where you can take a trailer ride to the top of the Western Head for panoramic views. 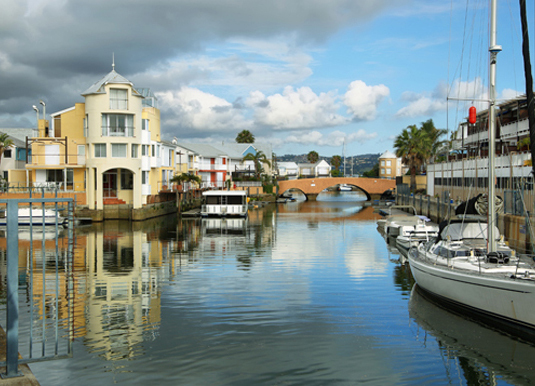 After lunch, the afternoon is at leisure to further explore Knysna. Day 7 Knysna/Albertinia: Travel via George and Mossel Bay to Albertinia, a town set against the backdrop of the majestic Langeberg Mountain Range. Enjoy an afternoon open vehicle game drive, at a malaria free private game reserve, home to an abundance of animal and birdlife, including the Big Five. Day 8 Albertinia/Hermanus: Enjoy an early morning open vehicle game drive in the hope of sighting the "Big Five", general game and prolific bird life. 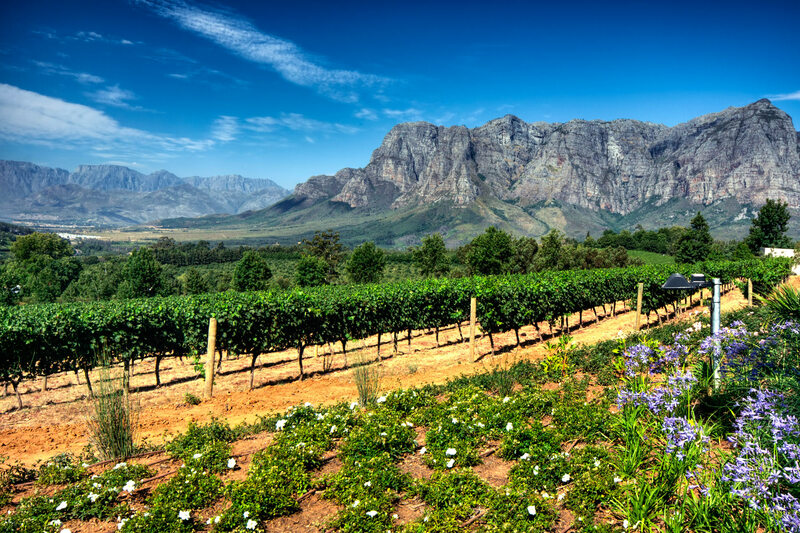 Later, travel to the picturesque Cape Dutch town of charming Swellendam, noted for its youngberries, eclectic architecture and National Parks, as well as outdoor activities. Continue to the seaside resort of Hermanus, known as the heart of the whale route, with the world's best land based whale watching (Aug-Nov). 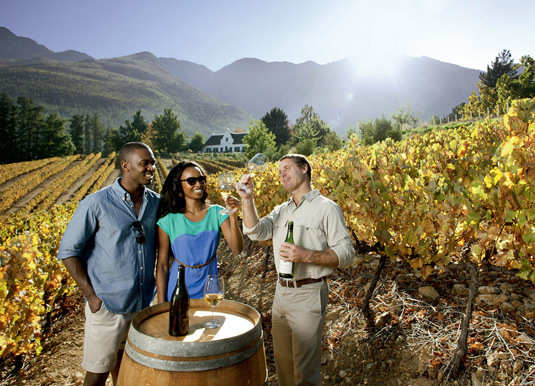 Day 9 Hermanus/Cape Town: Travel to Franschhoek, a picturesque village surrounded by spectacular vineyards. Take a guided tour through Franschhoek village, learning about the fascinating history of the French Huguenots and the Huguenot Memorial Museum. Then finally return to Cape Town where the tour ends on arrival. Departures: On selected Mondays, please ask for details. Accommodation: 4* Protea Hotel Sea Point, Cape Town; 4* La Plume Guest House, Oudtshoorn; 4* Rex Hotel, Knysna; 3* Garden Route Game Lodge, Albertinia region; 4* Misty Waves Hotel, Hermanus. This tour is also available in higher category rooms at a supplement. Meals: Breakfast. Lunch is also included on days 5-6 and dinner is also included on days 4, 7 & 8. 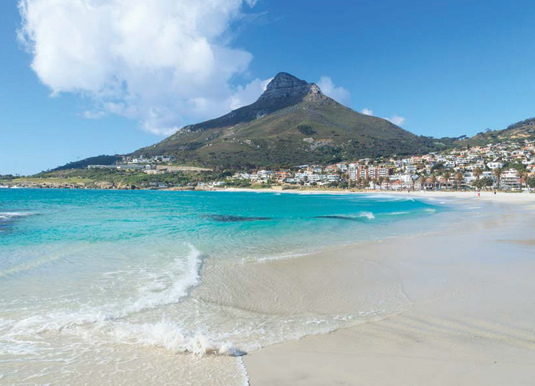 Tour price: The price shown for this escorted tour is based on the best value travel dates in low season and includes international flights, transfer from airport to hotel in Cape Town, sightseeing as specified, accommodation as outlined and services of a guide (days 4-9). 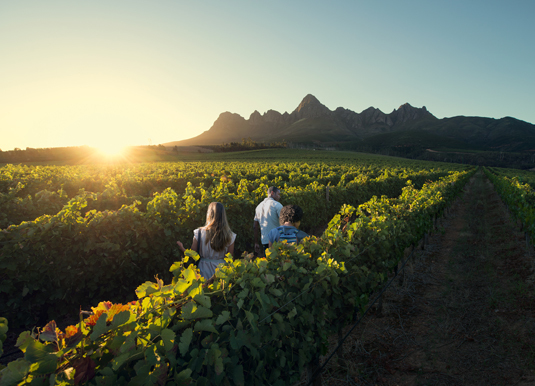 Enjoy a further few days in Cape Town to explore the wonderful sights in the Mother City including Table Mountain, Robben Island, the V&A Waterfront as well as nearby Boulders Beach and Stellenbosch in the glorious Winelands region.